We are doing an extreme sale on H401-PK Helmet. eBikerLeather.com does not play tricks with our customers when it comes to buying. We always tell the truth in our descriptions, to build even stronger relation ship with our customers. Pinterest is a tool that allows you create boards with different pictures. Recently we received huge amount of search for words, biker chick and women biker. For those that did not know eBikerLeather has a board called Biker Chick on Pinterest, now you know. Our crew is updating Biker Chick Board daily and it is usually from 1 to 6 pictures. If you never had an Pinterest account, you should get one and check out Biker Chicks at eBikerLeather. Our Biker Chick Board features over 100 women and motorcycle pictures! Click here to view Biker Chicks. Harley Davidson is going all out with celebrating their 110th Anniversary. Starting from year 2004 to current year you can customize your Sportster seat. This is really greater feature for those who planned on buying either used, or new Harley Davidson Sportster seat. The option comes for two seat types, which is solo, and sidekick. I took a look at their website and designed my own seat, but this was just a test to see how the seats look, and feel price wise. The seat created by me was $299. Harley Davidson gives you option of choosing 13 stitching patterns, in 10 thread colors, while the inlay’s can be embossed leather with ostrich, alligator, or snakeskin textures. There is over 100 combination when it comes to designing your perfect Sportster seat. 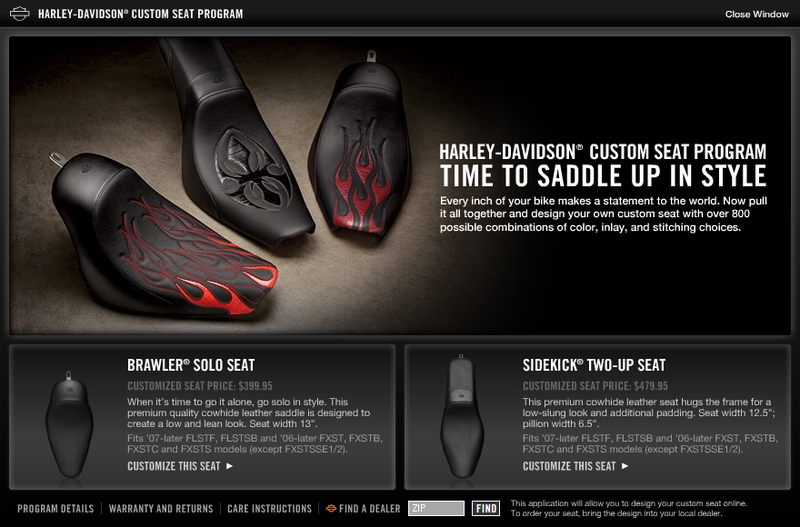 Click here to create your own Harley Davidson Sportster seat. Is Moto Guzzi taking a different approach with their motorcycles? It surely looks like it, they are showing the design and comfort of the ride instead of the specs. The best offer of the year has just hit online market. Not every day you are checking news, and find an article about getting a free gun. Basically it is a two for one deal for everyone that wants to own a motorcycle. Ron Pownall of a Pinellas Powersports in Florida is running a special at his store, “buy a bike and get a handgun for free”. Where did the idea come from? Ron said that the idea came to him reading the news on the most trending topic in United States, which is guns. The free gun comes from a gift card to a local retailers after a bike purchase. In couple words, this is the best deal of the year! Oxford English Dictionary publishers at Oxford University Press have been asked to drop their existing definition of the word “biker”, after complains by bikers. The pressure came from British bikers to change the definition. There was a poll done to determine if the definition should be changed. 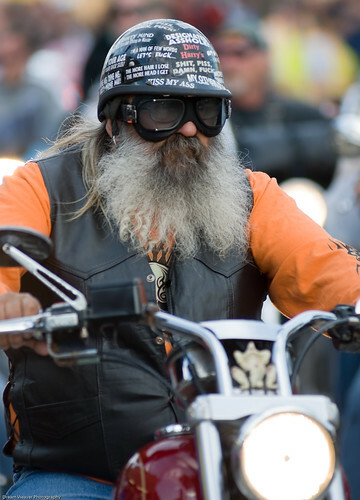 Figures from the poll have stated that fewer than one in 10 male bikers now have long hair. 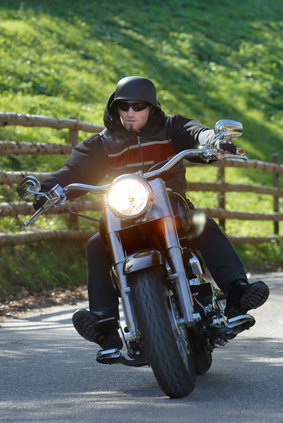 Almost half of British bikers are totally free of tattoos, piercings, facial hair, gang marks, or club marks. 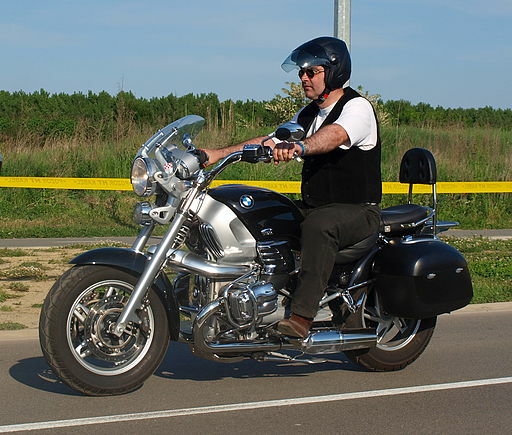 The study also shows that over 65% of bikers claim to be riding alone, and not part of a gang, or motorcycle club.